This is the holiday season for giving gifts, eating way too much food and trying to put up with some of those crazy relative. Most of it’s fun, and it can become even more intriguing if you take advantage of the moneymaking opportunities. Seeing as how everyone is in a rush during the holidays, connecting to customers through a mobile app just makes sense. Think about it: People are scrambling to complete their shopping, while also keeping their heads on straight for work. Throw in a bit of travel, and you’ve got a person who’s constantly on the move. And that’s exactly what a mobile app is made for! Not to mention, consumers are beginning to buy more items through mobile interfaces, making it essential you get prepared for the coming holiday rush. 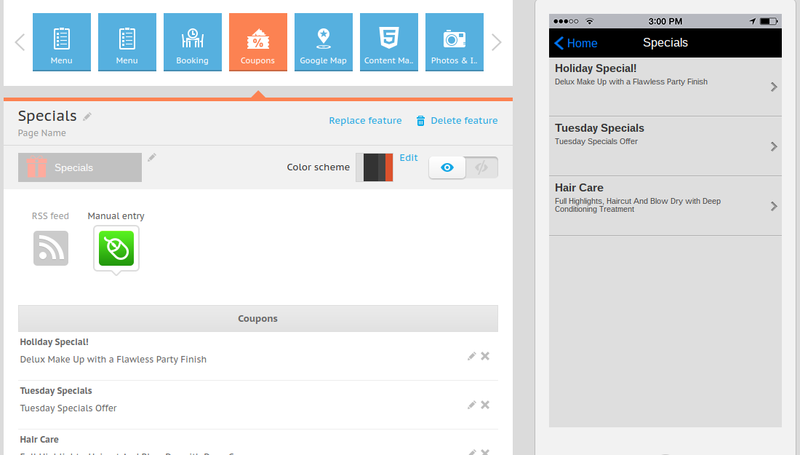 How do you get your mobile app ready for the holidays? When you walk by a storefront (whether it’s a candy shop, restaurant or Walgreens) holiday decorations are plastered all over the place. It reminds customers they should get their holiday shopping done, while also highlighting deals and showing that the company has some holiday spirit. As for businesses with mobile apps, it’s no different. Your customers want to see a candy cane in your logo, or maybe some falling snow in your most recent coupons. The goal is to make your users look at your app a little more during the holidays. However, you need to highlight items like specials, events and any other things that are different around the holidays. Therefore, we recommend adjusting your app homepage to only show the the most important items. It’s similar to an online landing page, where you clear out the clutter so users know exactly where to find things like holiday coupons. After that, you can make notes to see which of the tactics worked. Get rid of the bad and keep the good for next year. Your coupons serve as one of the easiest ways to get people back to your mobile app. People expect coupons and specials during the holidays, so it’s essential to plan out your strategy and list those coupons on your mobile app. We recommend using “value-added” coupons instead of percentage off coupons. For example, a Buy One Get One ensures that you’re selling more product, whereas a 25% off coupon simply discounts your items and cuts in on your profit margin. 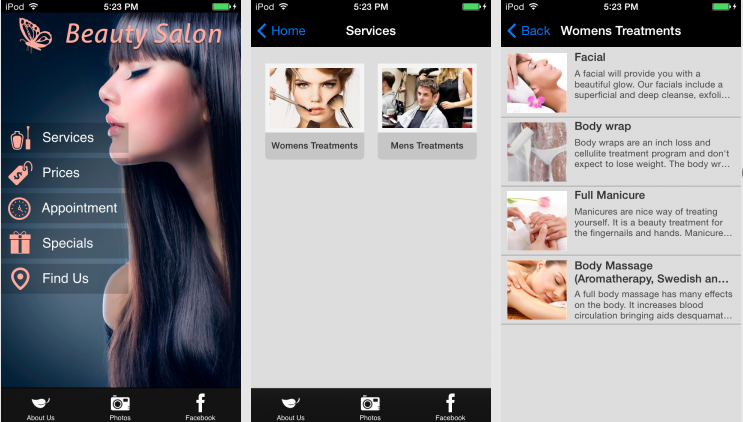 The iBuildApp interface offers several ways to connect with your customers and share information about specials and coupons. The most effective, by far, is a push notification. This way, you can send a quick message to each customer phone, telling them about the holiday promotion and prompting them to either come into your store or buy an item through your mCommerce page. Some products and services don’t make much sense for gifts, but just about every business can think of options that sell better during the holidays. Instead of leaving your mobile shop (or product/service showcase) the way it has been all year, consider highlighting the items that are more suitable for gift giving. It’s also not a bad idea to configure a store with holiday gift cards. As you begin sending out push notifications with promotions, you’ll start seeing more people coming to your mobile app. There’s one problem with that: They might look at your app and think it looks unprofessional or out-of-date. Therefore, sift through your app to ensure that your blog posts and events are current. Remove anything that doesn’t get much use. For example, if your Facebook page has been stagnant for the past year, remove the Facebook link in your mobile app. This doesn’t only apply to events held by your company. Use the 80/20 rule to show how much you support the other local businesses in your area. This way, users can come to you for local events (seeing as how 80% of your shares are for events in the area) and also see what you have going on during the holidays. We hope this helps you out as the holidays roll around. If you have any questions or other suggestions for mobile marketing during the holiday season, feel free to drop a line in the comments section below.